Theodore belongs to a US president, a singing chipmunk, and more and more real boys with every passing day. Thanks to Katharine for suggesting our Baby Name of the Day. Long before the chubby chipmunk first appeared on television with Alvin and Simon in the 1960s, this name was well established. In fact, it stretches back to pre-Christian times, making the animated rodent more of a footnote than a defining figure. In Greek, the name started out as Theodoros. Theos refers to god; doron means gift – God’s gift. The name was in heavy use in the ancient world – a pioneering sixth century BC architect and a fourth century BC mathematician. The first saint appears around the 400s AD. There’s a seventh century Byzantine military leader. Add in a pair of popes and the rulers of Naples, Russia, Corsica, Ethiopia, Antioch and Montferrat and this was a widely known name well before the nineteenth century. But not until around 1800 did the name become popular in English, when those creative Victorians finally discovered Theodore. We can layer in literary Theodores (Dreiser, Roethke) and, of course, the 26th president of the United States, Teddy Roosevelt. US popularity data begins in 1880, and this name is squarely in the Top 100 – and rising. In fact, it was President Roosevelt’s election that seemed to catapult the name into the Top 50 during his tenure in office. 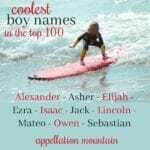 The name reached peak popularity in the first decade of the 1900s. By the time Ross Bagdasarian recorded his novelty Christmas song in 1958, creating the trio of singing chipmunks, Theodore was on its way out. In fact, all three chipmunks were named for executives at Bagdasarian’s record label – which tracks, because those executives were probably born during the name’s earlier run of popularity. By 1959, the trio were appearing in a comic strip. And by 1961, they had their first television show. They’ve been updated and revised over the years, changing and adapting to try new musical styles. For much of this time, the names Alvin, Simon, and yes, Theodore, were all out of favor. Today, even though the trio has recently appeared in a successful quartet of live action movies, parents seem less concerned about the association than ever before. Energetic Theo, cuddly Teddy and retro Ted all serve as possible nicknames. I’d guess that our love of Leo helped encourage parents to consider Theo. 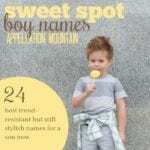 Teddy might also appeal to parents who love names like Charlie and Max – casual, but classic, too. He’s attracting more attention than ever nowadays. Theodore ranked #301 in 2007, and had climbed more than one hundred places to #197 by 2012. He shows no signs of slowing down, as parents look for classic choices slightly less common than William and Alexander. Way back in 2000, Theodore ranked a relatively rare #312. Since then, it’s grown dramatically in use, reaching the Top 100 in 2015, and standing at #62 as of 2017. If you’re after an indisputable classic with easy nickname options and a smart, capable vibe, this name belongs on your list. What do you think of Theodore? And do you prefer Theo or Teddy as a nickname? This post was published originally on October 24, 2008. It was substantially revised and re-posted on November 4, 2013, and again on August 15, 2018. What are your thoughts on the upcoming Theodore, “Ted,” Bundy movie starring Zac Efron? Will it affect this name? It is going to be a wide theatrical release this upcoming Autumn. thanks! I love this name. A friend of mine told me not to use it because of an upcoming movie . Currently, there is going to be a block buster style release on the big screen about Theodore “Ted” Bundy starring Zac Efron. What are your thoughts on this negative connotation with this name ? How influential can a movie Be? A movie can be wildly influential. Just look at Logan, a name pushed into the US Top Ten after it featured in two blockbusters in the space of a year. 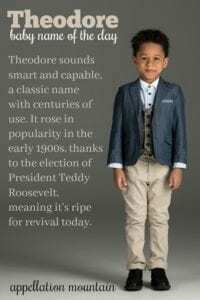 – Theodore is a classic name. It’s tough to argue that any one Theodore – no matter how wonderful or vile – could permanently change how we see it. The same is true for James, David, Charles, etc. – The title of the movie is not Theodore Bundy. Or even Ted Bundy. It’s titled “Extremely Wicked, Shockingly Evil, and Vile.” So a casual observer won’t necessarily hear Theodore in connection with the film. – Ted Bundy is infamous … but as Ted Bundy. Not as Theodore. It’s pretty clear that the movie calls him Ted. – There’s no guarantee that the movie will be a hit. It has lots of buzz now, but I often track movies for their impact on names – only to have the film fizzle. Netflix feels a little different to me … but I’m not sure if that makes it more or less influential. In general, television tends to be more influential because more people see something over a longer period of time. – And lastly, effectively what this person is saying is “Don’t name your child Theodore because Ted Bundy.” But Bundy isn’t new. He was executed in 1989. Seven movies have been made, the earliest in 1986, plus at least four television specials and three books. If there was going to be lasting, irreparable negative damage to the name, it would already be done. Instead, the name has climbed in recent years, re-entering the U Top 100. So … yes, a movie can be huge. But this won’t be an issue for Theodore, for lots of reasons. Thank you very much! I still love the name! Love the name Theodore, however, I also like the Hungarian version Tivadar (TEEV-aw-dahr), it’s so unique. 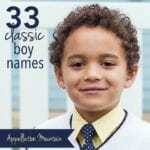 Hubby and I have made this our #1 boy name! He will be Theodore Warren S. Warren is after my hubby’s grandfather. We think it’s a great strong name! He will be a sister to our daughter Arianna. Glad to see this. I named my son Theodore in 2012. We call him Theo for short. I love the name and it fits my son perfectly. Timeless and classic yet the nickname Theo gives it just the right amount of cuteness. Theodore “Teddy” is our choice for a second boy. I think Teddy & Wiley would make an adorable sib set. Teddy and Wiley are great together! I guess I missed the singing Chimpmunks or they didn’t make an impression on me – I’m vaguely aware they existed, but never knew any of them had names! Love the name Theodore, and as it’s climbing very steeply here, expect to see plenty in time. Have suggested the name to husband, shot down in flames (add to long list of rejected boys names, as he only seems to like names for girls). Theodore is my favorite boy name. Can I indulge for just a second and tell you my dream sibset? Hubby and I have very different naming styles, so we do lots of compromising. On both sides. But if it were up to me, I’d have 5 kids: Luscianna, Theodore, Ezekiel, Rosalind, and Aurelia. I won the first battle, but we call her Lucy or Luz. I didn’t win the battle for Theodore, but we settled on Dhev, which is a Sanskrit variation with a very similar meaning (Dev is “God”). Can’t wait to see what the future holds! What lovely names, Tonia – Luscianna is stunning! And Dhev is great. I really like Theodore. In fact, I think it’s creeping close to #1 on my boys’ list. It does nix using Simon as a middle name, sadly, which I’ve always liked due to family. I like Ted/Teddy for nicknames – sounds like a friendly, likable, everyman. Theo seems like it’s trying too hard. I could see Dory, too, maybe for a young child. I think Ted and Teddy are the only options for me. To me Theo will always be a Huxtable. Theodore is my husband’s middle name and his grandfather’s first name. 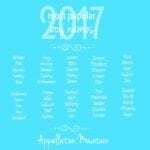 Seeing as our son has my husband’s father’s name as his middle name, I’ve had it with using family names! I’m going for originality next time. At most I’ll use an S or an L to honor my grandparents, but no name copies! Theodore’s one of my top ten boys. He’d be Theo, thought. For the full-blown Theodore I’d be fearful of him being called Theodore-the-bore. My poor boy! Ted’s a little too How I Met Your Mother for me, and Teddy is Teddy Roosevelt. Theo’s my artsy little boy. Oh, I love Theodore! He’s my favorite, living Uncle too! (one if Dad’s brothers). Sadly, I’ve already used Simon. Leo, Simon & Theodore is asking for “hey, where’s Alvin?” jokes. Nevewrmind, because the Uncle’s Ted/Teo(now that he’s in NM), Theo would be my choice of nicknames; again, Leo, Simon & Theo? *sigh* Locked out of an awesome name! I think Theodore is awesome. Strong, handsome, warm & friendly. Teddy’s adorable on a little one, Ted & Ed are classically handsome, Ned is a fresher option that warms my heart, Teo’s cool and Theo’s smart. Theodore’s an all out winner. I mourn his loss often. […] a 21st century name. […] Names sourced some sibsets from the 1900 and 1911 census data. […] Then there was a predictable-but-sweet Julia Stiles movie, Carolina.